A spiral heat exchanger may be in a helically configured pattern, or it may be two coiled flat panels creating a counter-flow. Typically used in the heating of liquids that contain solids, spiral heat exchangers tend to get dirty more quickly than other types of tube heat exchangers. However, spiral heat exchangers offer a single-flow path and rotary current that creates a self cleaning effect. The self cleaning effect initiates a low pressure drop and allows the spiral heat exchanger to easily dislodge blockages. This allows spiral heat exchangers to keep clean fairly easily, despite the particle-laden materials they heat, for example sludge or slurries. Spiral plate heat exchangers serve engineering and process industries as well as ethanol, alcohol, food processing, pharmaceutical, oil and gas, chemical, wastewater treatment and mining. Inside of the tubular outer casing of the spiral heat exchanger, there are two long metal strips with welded-on spacer studs. The strips are rolled or coiled around a central core in order to form a spiral body that contains two evenly spaced single-passage channels. It is similar to the placing of plates in plate heat exchangers to increase the surface area. Next, the alternate sides of each of the channels are welded and two flat or conical gasket covers are bolted over the sides of the spiral body to complete the construction. The covers ensure that the fluids in the spiral heat exchanger will not mix. There are three main ways in which fluids will flow in a spiral heat exchanger. Countercurrent flow is when both fluids flow in opposing directions. 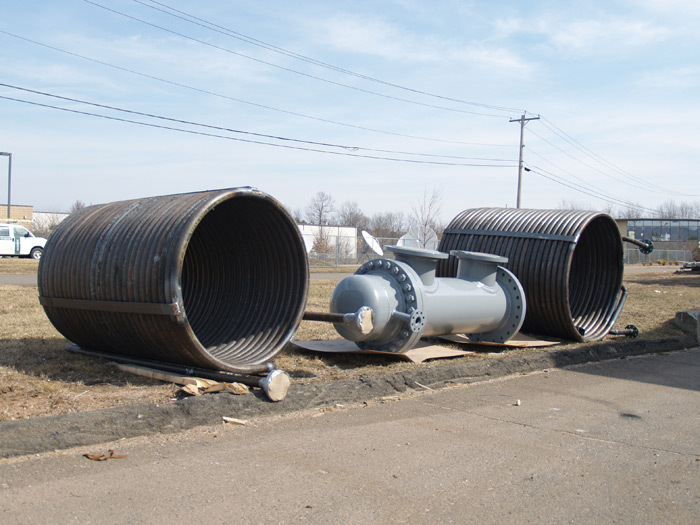 Spiral heat exchangers with this type of flow are typically mounted vertically to condense vapor and mounted horizontally to handle high levels of solid particles. Spiral flow/cross flow is when one fluid is in spiral flow and the other fluid is in cross flow. This type of flow requires spiral heat exchangers to have spiral flow passages welded on each side. Distributed vapor/spiral flow is typically mounted vertically for the sub-cooling of condensate and non-condensable fluids. In this type of flow, the coolant moves in a spiral and discharges out of the top, while hot gases are discharged as a condensate out of the bottom. Spiral Heat Exchangers A spiral heat exchanger is a type of shell and tube heat exchanger design that consists of a spiral body made from two flat surfaces, typically metal strips, which are coiled to form two spiral channels. 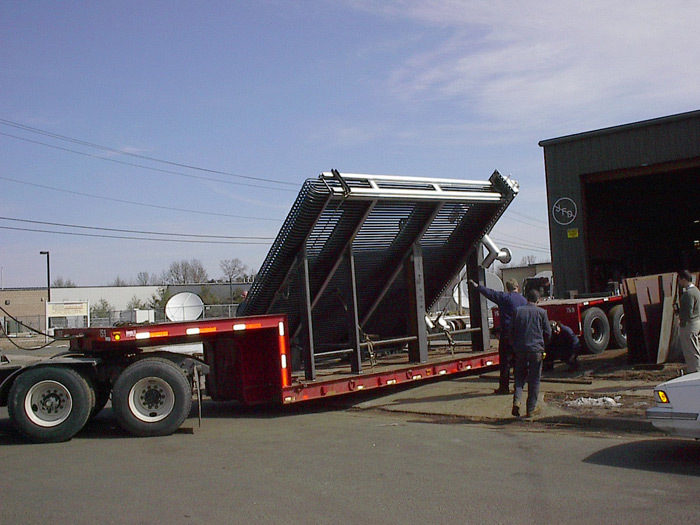 Commonly used for applications including digester heating, pasteurization, heat recovery, pre-heating and effluent cooling, spiral heat exchangers offer the benefit of increased floor space due to their relatively compact size.